Located in Bannock County, ID, the city of Chubbuck has over 14,000 residents. As the 9th fastest growing city in Idaho, the city needed to transform cumbersome paper processes into automated digital processes in order to keep up with its growing population. Chubbuck originally used Laserfiche exclusively for document storage and retrieval. “We were behind the times, stuck in the paper stone age. We were paper hoarders,” says Sergei Tomin, System Administrator. 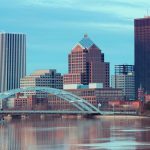 The city reevaluated its Laserfiche usage and decided to take the next step in its digital transformation journey. After converting paper into electronic documents and centralizing their location in a single, searchable repository, Chubbuck has progressed to digitizing and automating processes. The city first automated the public records request process in order to increase efficiency, accelerate processing time and improve accountability. By digitizing the public records request process with Laserfiche Forms, the city has decreased processing time from ten days down to less than 24 hours. Previously, citizens were required to visit City Hall to fill out a paper records request form. The clerk stamped and photocopied the form before manually handing it to the appropriate staff member. The staff member searched through the archives to locate the record, occasionally taking days to find the required documents. Once the records were located, the clerk would notify the requestor who then had to travel back to City Hall in order to pick up or view a copy. The process took anywhere from 72 hours to 10 days to complete. Citizens can now request a public record from anywhere, at any time via the city’s website. 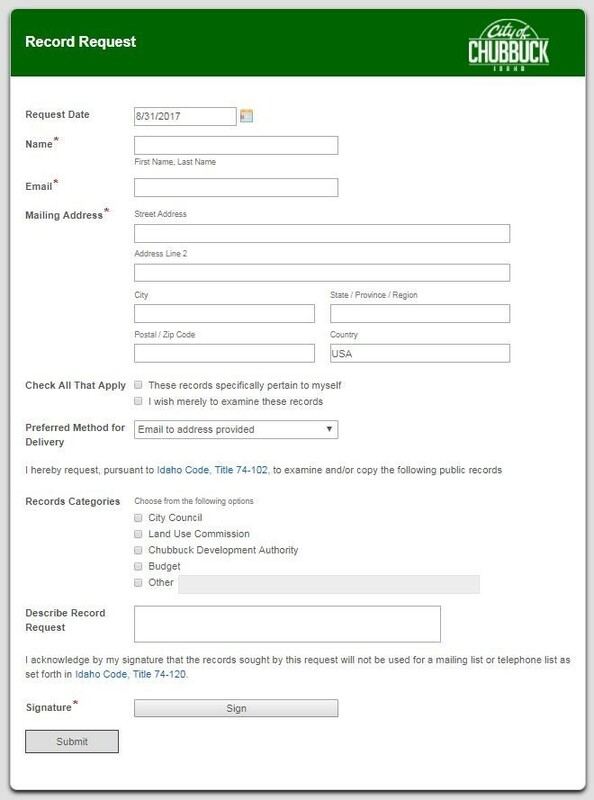 The requestor opens a Laserfiche form and fills out all basic information, including the record category to further speed the request. The requestor selects a preferred means of record delivery: email, mail or pick up. 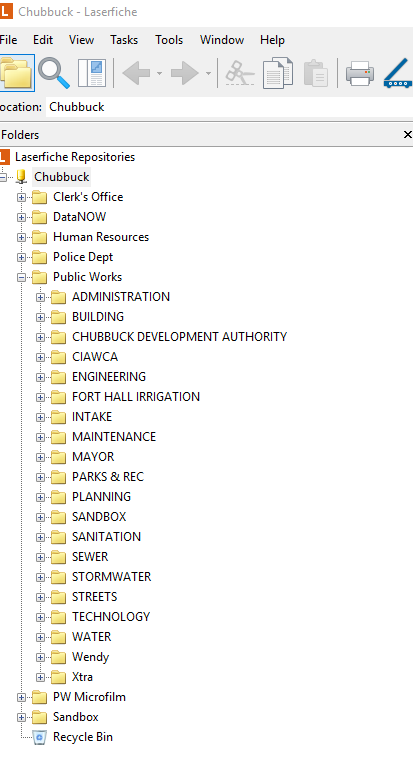 After submission, the form is automatically routed to the City Clerk. The clerk can either fulfill the request now or respond with a time estimate. The clerk also types a message to the requestor that will be added to the automated email sent after the clerk submits the form. This simplifies the process as the clerk does not need to switch between multiple applications to respond to the requestor. The clerk locates the appropriate records within the Laserfiche repository using a simple search. Before delivering the records, the clerk can redact the documents from within Laserfiche, ensuring document security. The clerk finally sends the record to the requester via the method chosen at the start of the process. Chubbuck’s next step is to integrate the public records request process with the Braintree payment gateway in Forms, which will allow the requestor to submit payment for certain requests electronically. The city’s ultimate goal is to go completely digital.